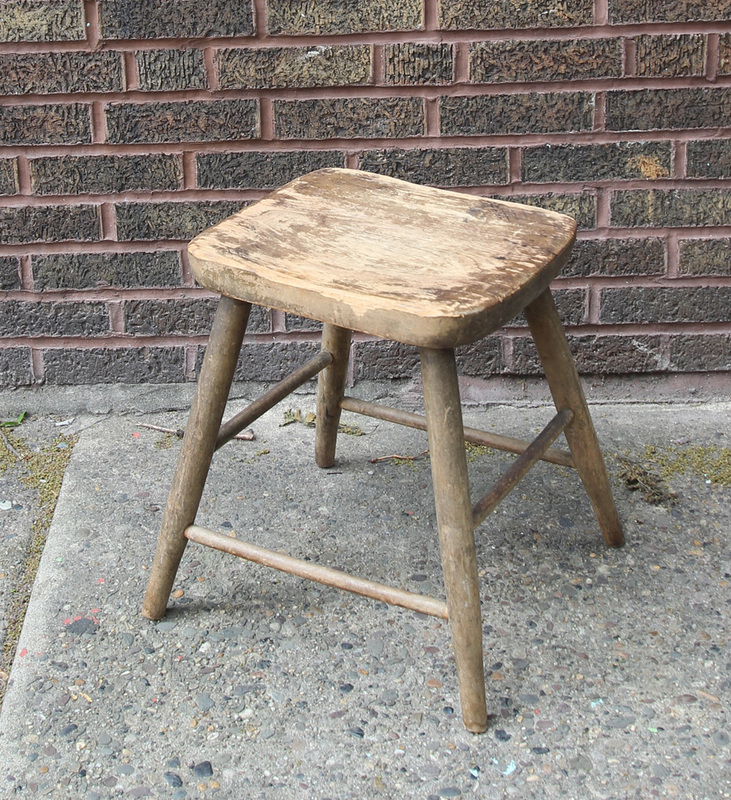 Well-worn, primitive stool with a fat, carved, rounded, rectangular seat with remnants of old grey paint and turned legs. Very sturdy. Nice splay to the legs. Good height for a side table or extra casual seat. The seat is 14" x 11.5" x 17" H.
Good condition, wear consistent with age and use.